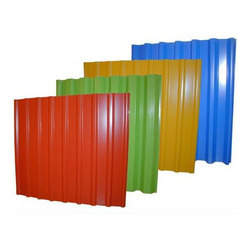 Pioneers in the industry, we offer Roofing and Profile Sheets such as JSW Colour Coated Profile Sheets, Coloured Coated Sheets, Metal Colour Coated Profile Sheets, Metallic Roofing Sheet, Tile Roofing Metal Sheet, Roof Tile Sheet and many more items from India. Pre-painted galvanized steel JSW Colour Coated Profile Sheets is considered as a long lasting product that is cost effective steel possesses good non-combustible properties it is an ideal solution for large spaces guarantee the best of designs and quality of galvanized steel in constructing your structures steel is resistant to fire, rusting and corrosion, steel buildings are that much more durable in addition to being flexible in designing.Alfa provides the wide range of JSW make sheets. 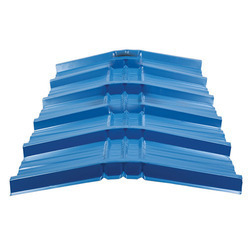 Clip Lock Sheets is designed to be fastened to roof purlins or wall girts with fixing clips which are concealed during fixing and do not require any fastening holes through the steel sheets. 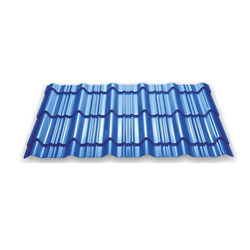 The double capillary break design of the interlocking mechanism of adjoining sheets ensures the prevention of ingress of rainwater by capillary action. As the side lap contact area of the profile is minimal and is well ventilated, trapped moisture cannot remain and the danger of overlap corrosion is eliminated. 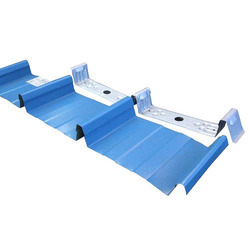 From security point of view as fasteners are concealed, roof sheets cannot easily be removed from outside. Alfa brand provides combination of steel with Metal Colour Coated Profile Sheets the excellent corrosion protection of zinc/aluminum alloy coatings. 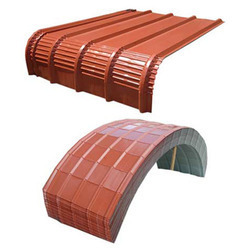 It can be punched, roll-formed and joined in to a limitless number of structural and decorative building products.Industrial roofing solutions. The thermal reflectivity converts into energy savings. As galvalumed roofing is energy efficient, leak proof, weather-proof, maintenance free, ALFA recommends the use of this roofing for commercial and industrial purposes. Easy to install, PPGL Curve Crimp Sheets provide versatility and creativity that bring new and refreshing design to industrial and domestic buildings. The combination curves and contours in concave and convex shapes with flats and angles can be used to add an aesthetic appeal to the building. 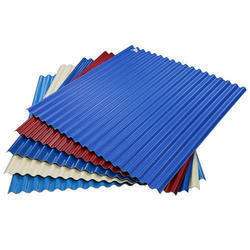 Clip Lock Sheets is designed to be fastened to roof purlins or wall girts with fixing clips which are concealed during fixing and do not require any fastening holes through the steel sheets. 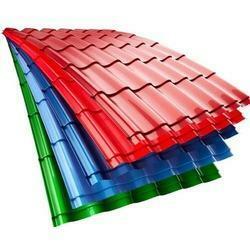 Standing Seam Roofing Sheet is the most reliable roofing material. The risk of leakage is excluded due top concealed fixing, reliable seaming, and absence of through holes. 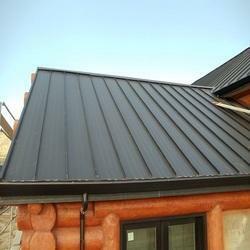 Standing seam roofing blends into architectural character of cities thus being applied for new building construction as well as for remodeling and renovation. 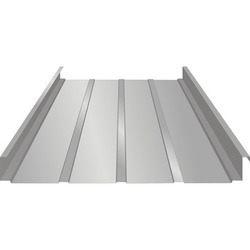 Our standing seam sheets includes pre-profiled semi-finished roofing sheets for tin smiths for making machine seamed roofs, a profile that resembles traditional seamed roofing. 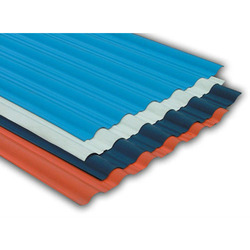 This roofing sheet is an excellent choice for low-pitched roofs and comes with a large colour selection. 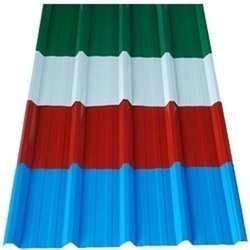 Alfa colour Metallic Roofing Sheet numerous sizes, designs and colors and are in extensively demanded in homes, restaurants, hotels and many other places. Further our quality auditors test this sheet on set parameters to ensure a flawless product from our end and retain customer’s permanently. Our products are of rugged design, excellent strength, durable and easy to install. Easy to install,GL Crimp Sheets provide versatility and creativity that bring new and refreshing design to industrial and domestic buildings. The combination curves and contours in concave and convex shapes with flats and angles can be used to add an aesthetic appeal to the building. 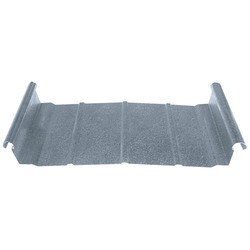 GL Crimp Sheets require less supporting framework for parapets and roofs. 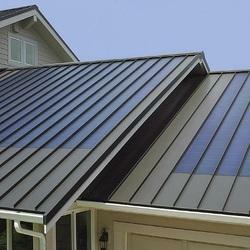 We are offering Standing Seam Boltless Roofing Systems. 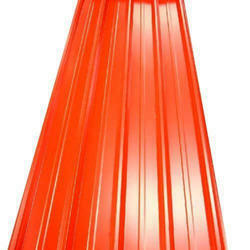 These are flexible, light in weight, impermeable and are rust, rodent & termite proof. These sheets are customized according to clients' requirements. These are made available as organic coated steel and aluminum with excellent finish. We deal in Clip Lock Profile Sheets. We deal in Klippen Profile Sheets. 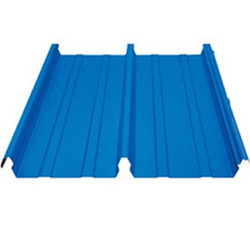 Looking for Roofing and Profile Sheets ?